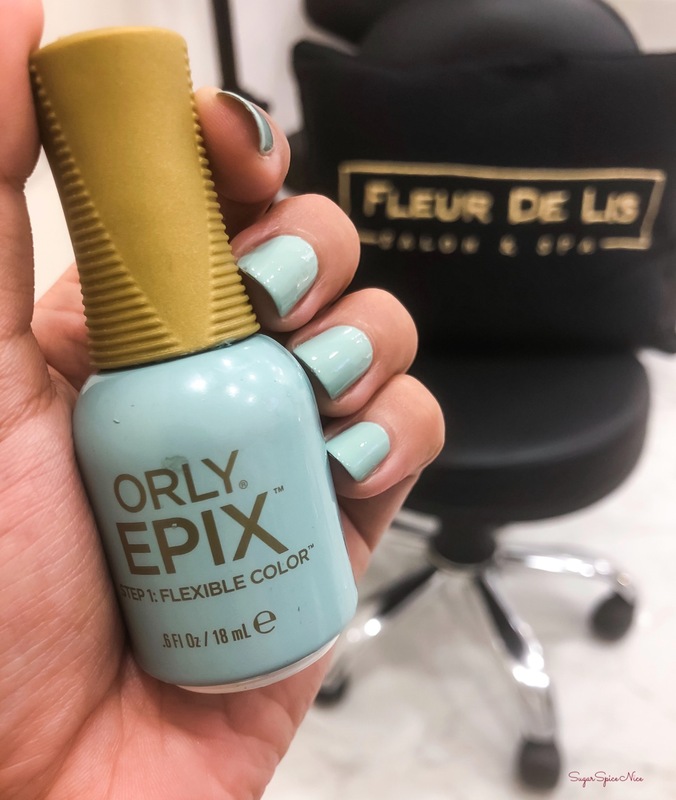 A new place in Worli, Fleur De Lis Salon is definitely a must try. 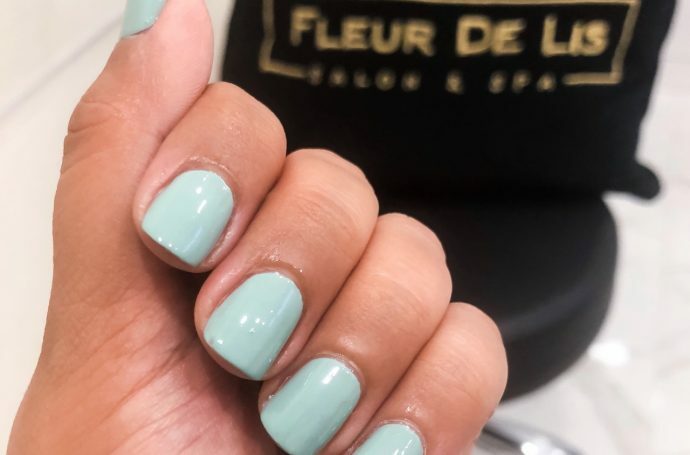 In my quest to find a good facial, I tried the Fleur De Lis Salon recently. 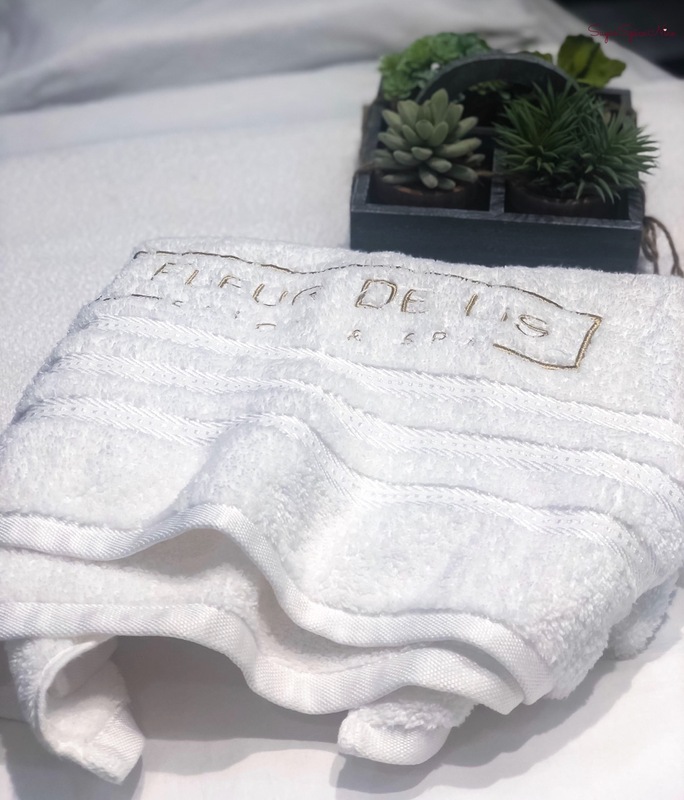 I tried the regular brightening facial at Fleur De Lis salon and it was definitely worth the time and money. The facial started with a gently body massage and that instantly gets you in the mood for relaxation. The products they use are their own inhouse brand. My therapist was extremely kind and took some time to analyse my skin and also address any skin issues I had and accordingly suggested the facial. The treatment lasted a little over 60 minutes and included a light relaxing body massage, facial cleansing, exfoliation and 2 face masks. And my skin definitely thanked me for this! I also tried their Manicure and Pedicure – nothing fancy, just the basic service. 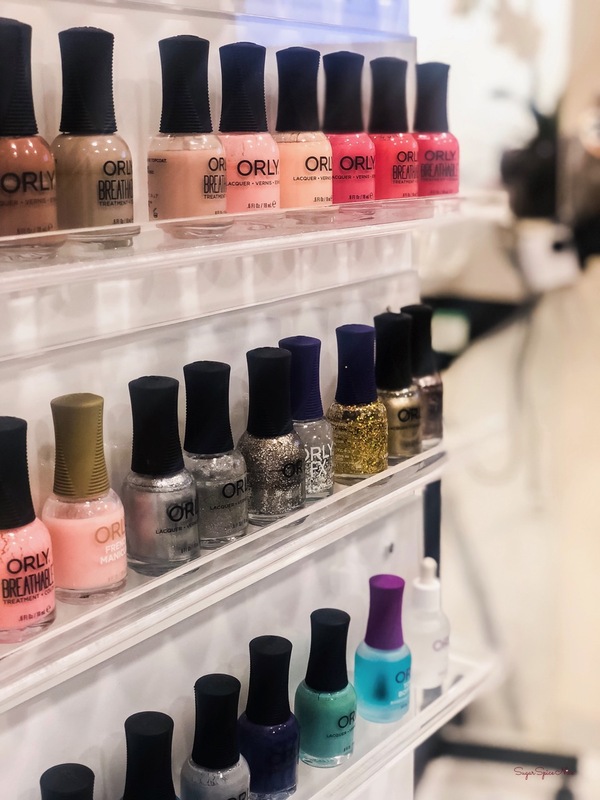 I was spell bound by their nail polish collection – only OPI and ORLY which for a nail polish junkie is like wow! Both, the manicure and pedicure were very well done. 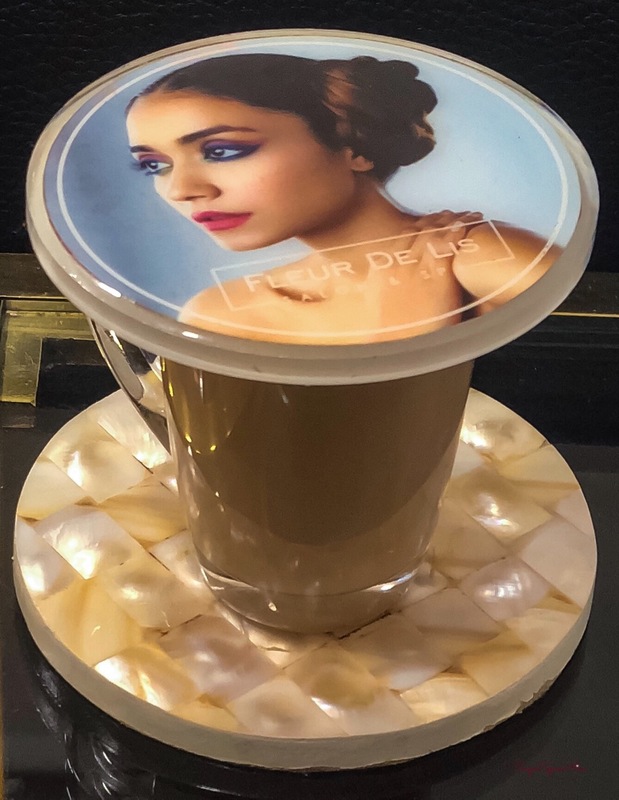 I must highlight the hygiene of the salon – it is definitely better than many of the branded salon chains in Mumbai. Also their staff isn’t snooty and neither do they try to upsell too many services. In terms of pricing, their services are on the higher side. But if you are looking for quality service then I would definitely recommend them. 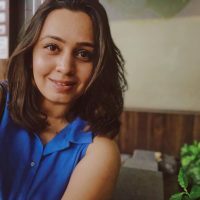 Do let me know some of your favorite spas and salons in Mumbai so that I can try them too. Here are some other places I love. I also make videos on Youtube about food, travel and more. You can watch some of them below. 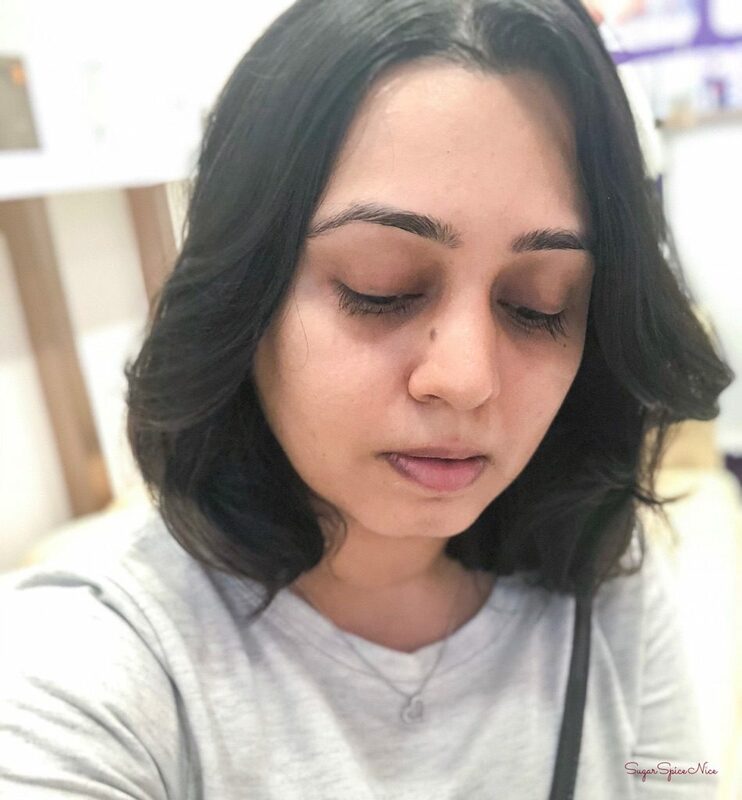 About Face is a hair and beauty clinic in Mumbai. 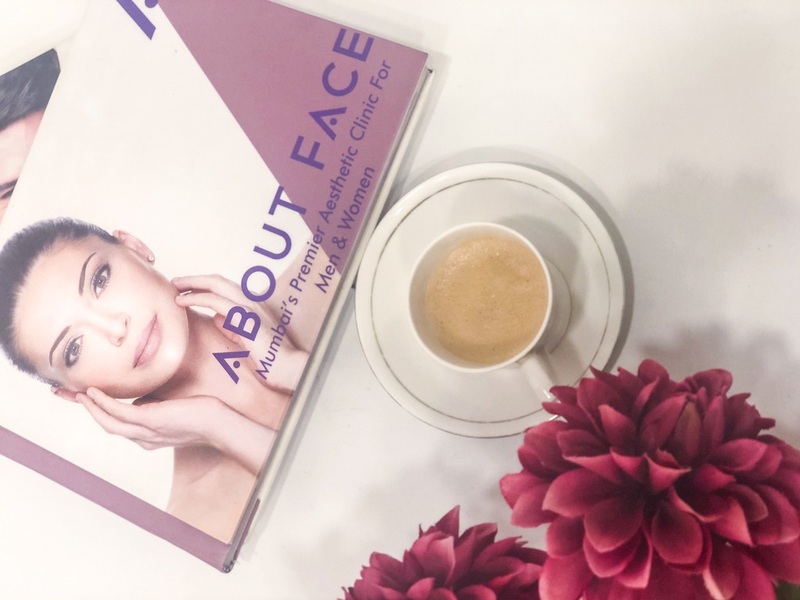 It is not a salon, but a clinic that focuses on treatments and solutions for problems related to skin, scalp and hair and even cosmetic treatments. 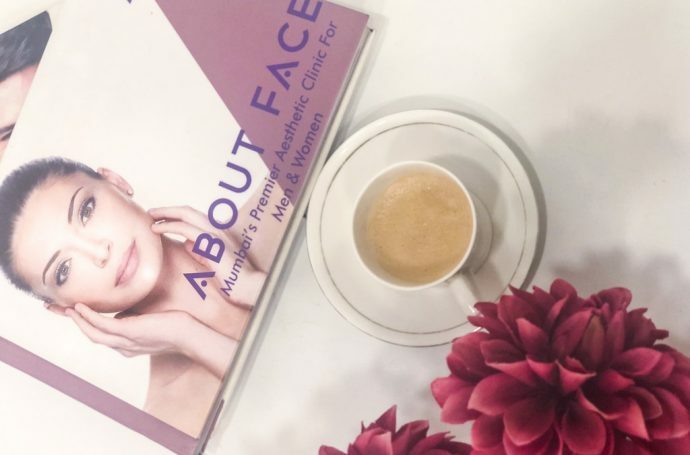 I recently tried a facial session at About Face and if you would like to know the procedure and the results then keep reading! Firstly, this isn’t a salon – so there’s no one standard facial that anyone can try out. In fact, they carefully examine your skin, ask you for concerns or existing problems and only then recommend a treatment. 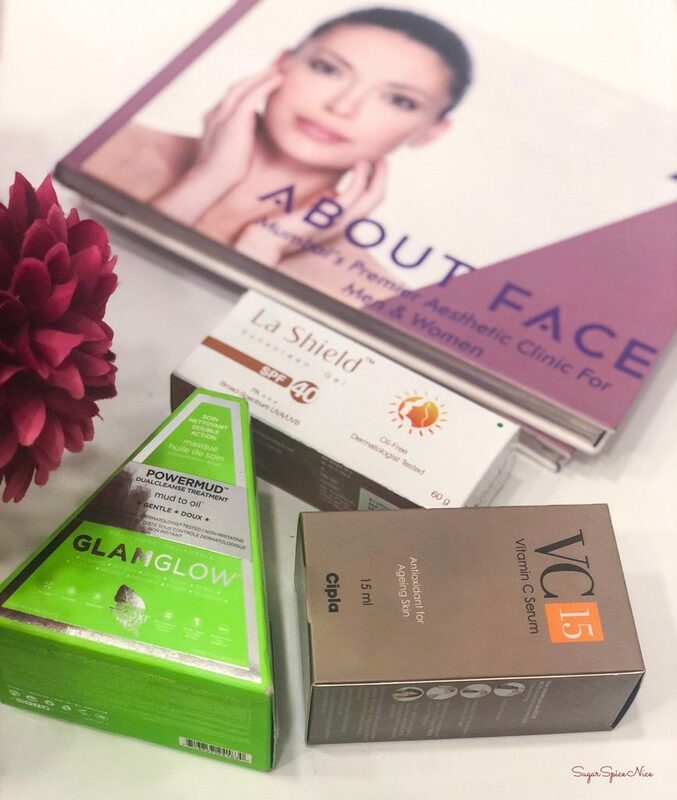 My skin is particularly sensitive and was honestly slightly dull at the moment when I visited About Face. So they suggested a facial that refreshes my skin and also a very light superficial skin peel that resurfaces fresher looking skin. The facial starting with cleansing. After cleansing, the next step was Mesoporation. In this they infuse various hydrating ingredients into the skin. It does not involve any injections and is done in the presence of the skin doctor at the clinic. They also took care of all the blackheads and whiteheads that my skin had. This was followed by a very mild peel that was slightly itchy at first but felt bearable later. This peel mainly helps improve skin texture. And it was left on the skin for barely a couple of minutes and then wiped off. The final step was a face mask and they actually used a very hydrating sheet mask. The day of the facial my skin felt really fresh. However, the actual results only appeared after 2 days when my skin look visibly more radiant and more even toned. I didn’t get any rashes from the peel which meant that it was mild enough for my skin to handle. Yes! It definitely added a lot of glow to my skin. Their services start from Rs.1800. So that was it from my experience at About Face. You can find out more about them here.